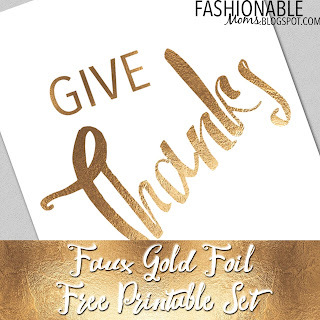 My Fashionable Designs: Free Printable: Faux Gold Foil Thanksgiving Printable Set! 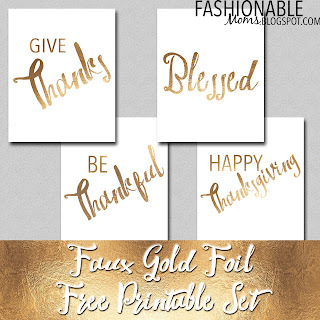 Free Printable: Faux Gold Foil Thanksgiving Printable Set! Anyway....I hope you are getting ready for a few days of resting, relaxing, and eating!! In case you are looking to add a few more decorations around the house or are in search of a nice gift for your host....here you go! 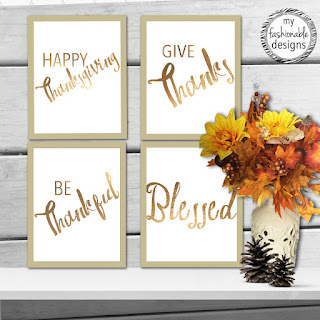 A set of faux foil Thanksgiving printables!!! DOWNLOAD SET HERE or click on the images below!